Lets talk about packing lunches. My daughter takes a cold lunch to school about 3 times a week, depending on what is on the lunch menu. I prefer to pack my daughters lunch the night before- to avoid the morning rush. All I need to do in the morning, is move there container from the fridge to her carry bag. I also fill up her water bottle and put everything into her back pack. 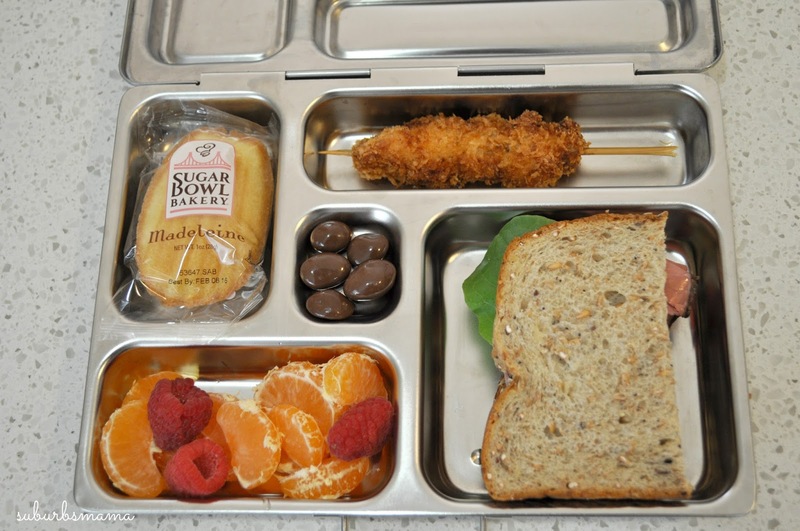 I used to have to pack little individual boxes and ziplock bags of fruit, veggies, snacks, and the main meal. Then I would need to wash all the individual boxes when my daughter would come home from school-- not fun. 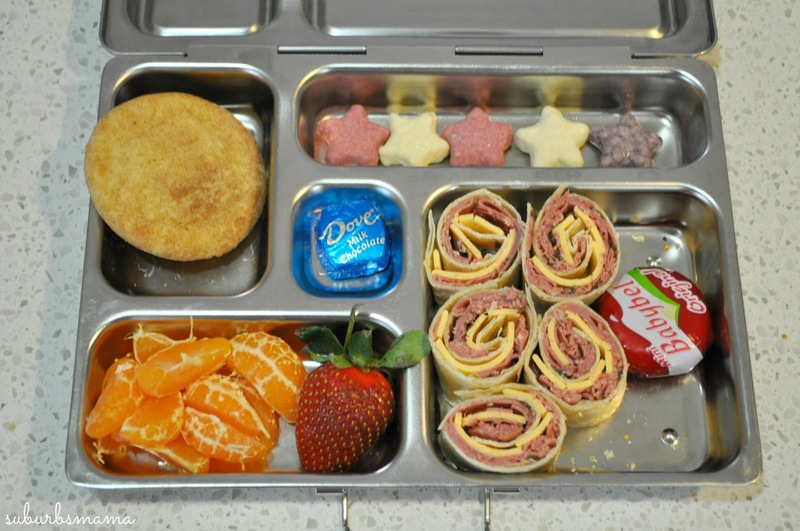 So when PlanetBox reached out to me and offered to send me their Rover lunchbox, to review, I jumped at the opportunity. I have seen pictures of this lunch box on instagram, and I was even planning to purchase 2 for the next school year, so I could pack the same meals for both kids, side by side. After using this box for a few weeks, I feel like I can give you an honest review. 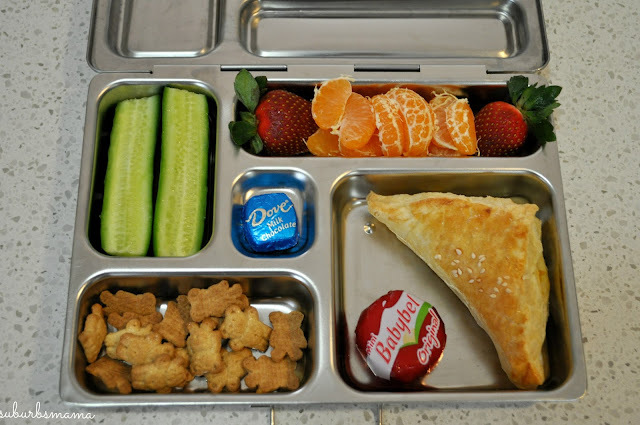 I think this is a fantastic lunch box! 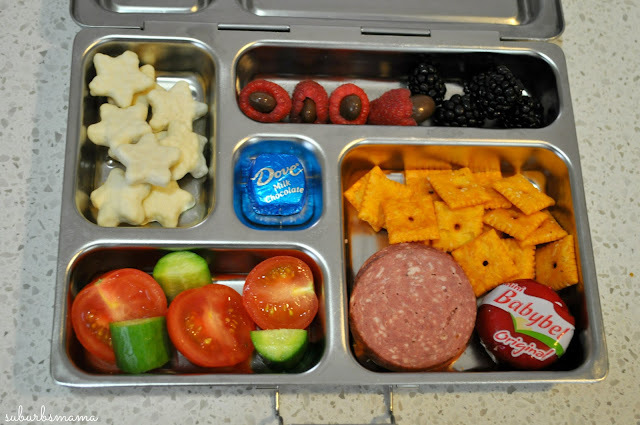 It has perfect portions for a child or an adult. I no longer have to wash 2 or 3 tupperware containers after school. I just wash the entire lunch box or put it into the dishwasher. My daughter is picky- like most kids, so if she saw something in a baggie or a little container that she didn't like, she wouldn't even bother opening it. 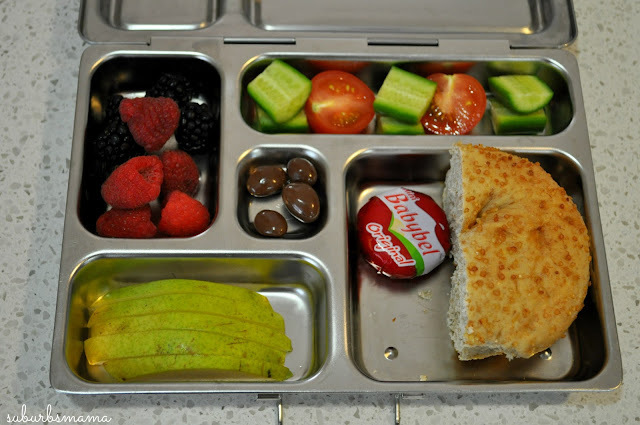 Now, as she lifts up her lunch box lid, all the food is in front of her and she doesn't need to ask for help from the teacher with any containers or baggies. 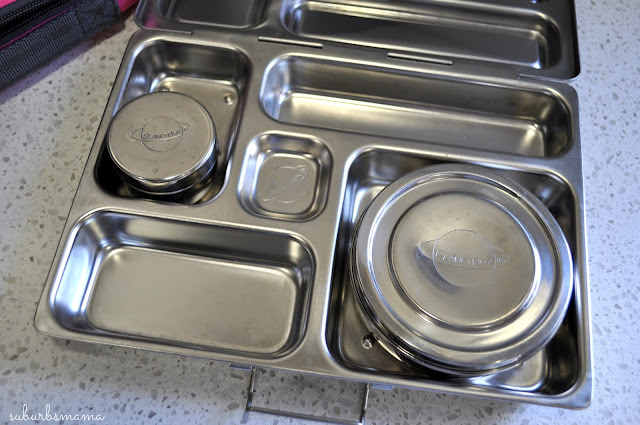 I have only one tiny complaint about this box, and that is you can not heat food in the the stainless steel container, I wish they offered a container that was microwave safe. My daughter's class eats in their classroom, and they have a microwave to heat up food. So when I pack something that I know she will like to warm up, I slip a small paper plate into the carry bag. 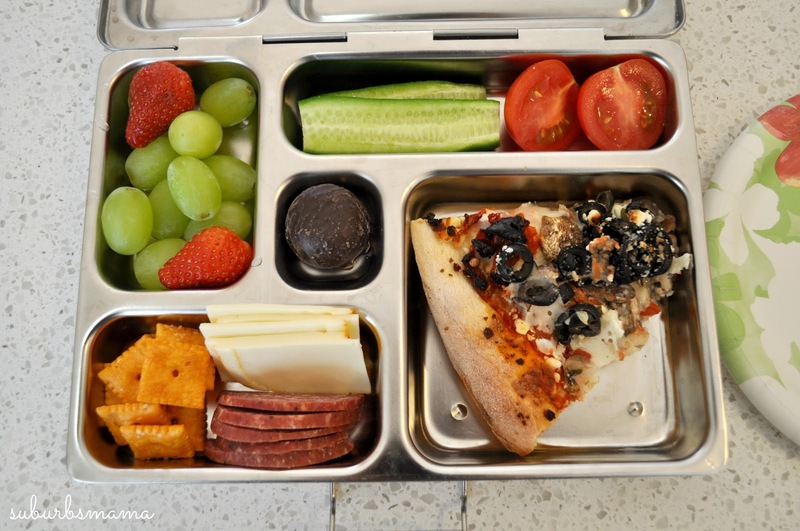 She is able to place foods like quesadillas or pizza on the paper plate and heat them up. The planet boxes come with magnets which you can customize your lunch box with, and you can choose the color of your carry bag. 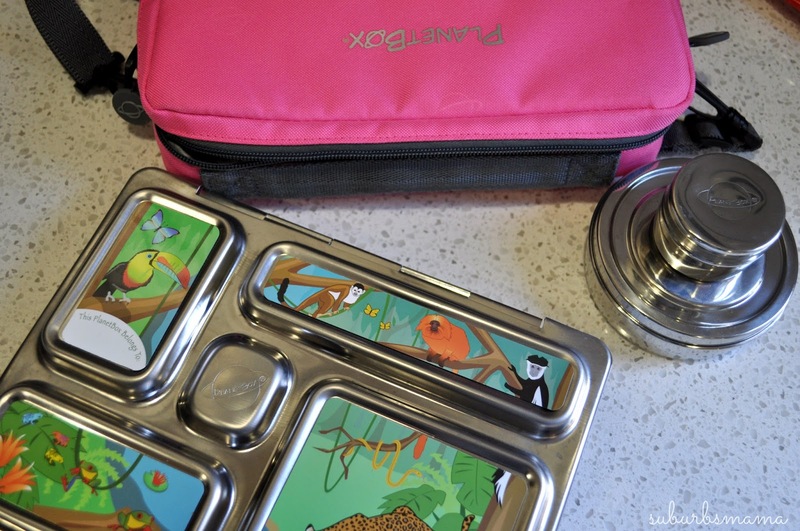 This lunch box is made of high quality steel, the main box is not waterproof, which is why it comes with 1 little dipper and 1 big dipper for sauces, applesauce, yogurt and so on. 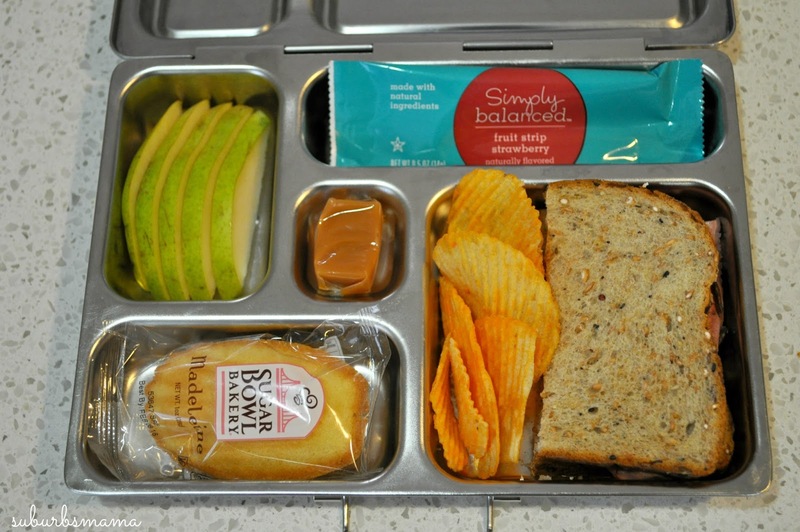 I like the separate compartments, It helps me make sure I pack a balanced meal. This lunch box does cost more up front then most others, however in the long run, you can save money. It has a 5 year guarantee. 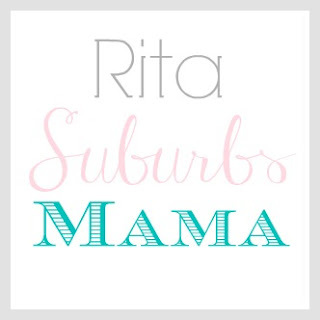 It is not "babyish" so your child would be ok to keep using it for a few years, if you want to change it up just order different magnets or a different color carry bag. 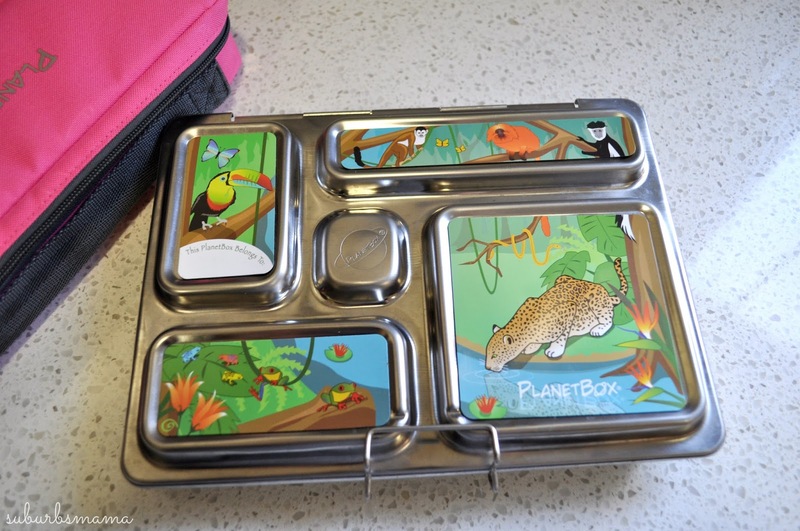 Let me know if you you have tried the planet box, or if you have a different lunch box. This is fun little post! 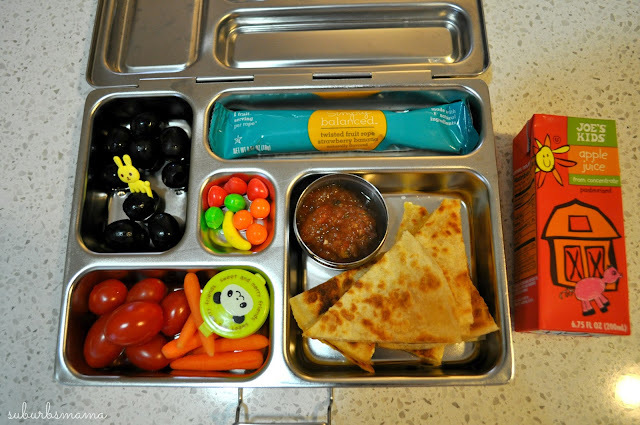 The box is great, but I am also interested in hearing about what you pack for lunches! 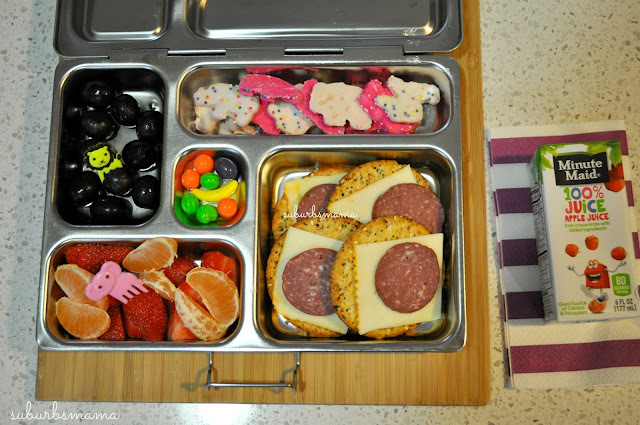 Everything you pictured looks great for kids and fun. I feel like when I would pack lunches, it would be pretty boring and the same things over and over. How do you get so creative?